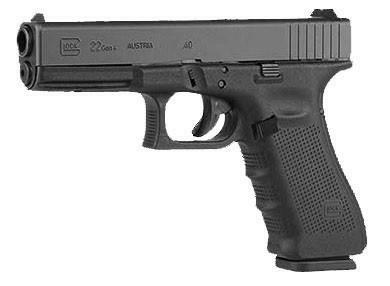 GLOCK introduced the G22 .40 in 1990 and effectively closed the gap between the heavy .45 Auto, and the internationally proven 9×19. GLOCK was the first manufacturer to make this popular and effective round accessible for law enforcement agencies. Today, police agencies across the U.S., and countless others throughout the world, put their trust in this 10-round .40 caliber pistol.